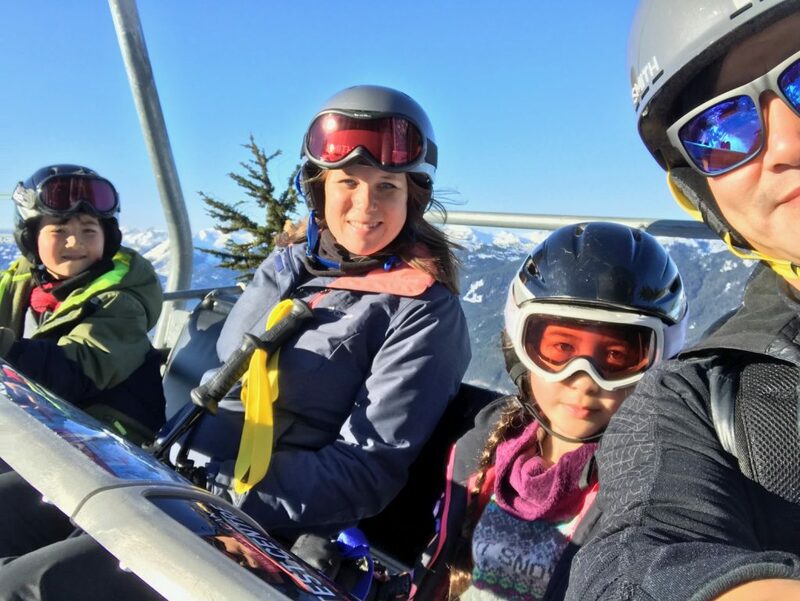 For the last 6 years, my family has been taking an annual trip to Whistler, BC in the winter. 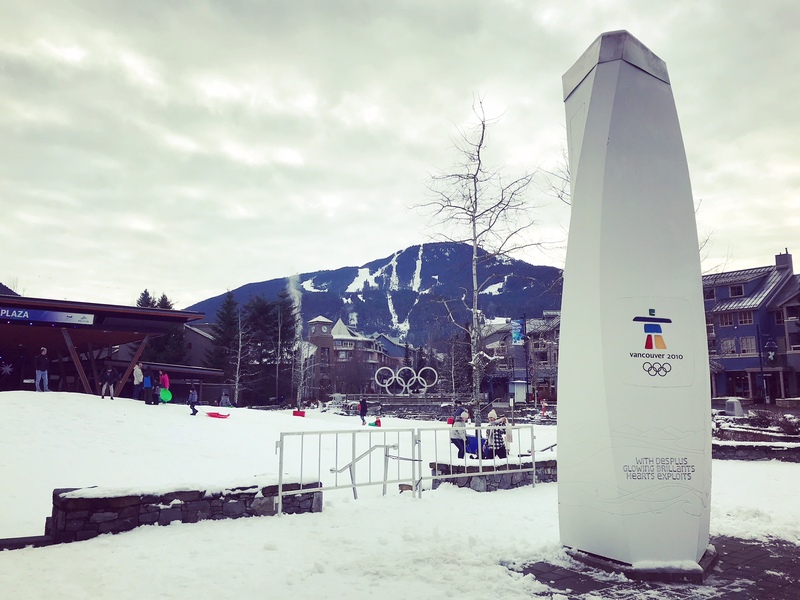 We fell in love with Whistler the first time we visited when we were teenagers and have always felt that it would be a great place to travel to as a family. It’s no secret that Whistler Blackcomb is an award-winning ski resort. 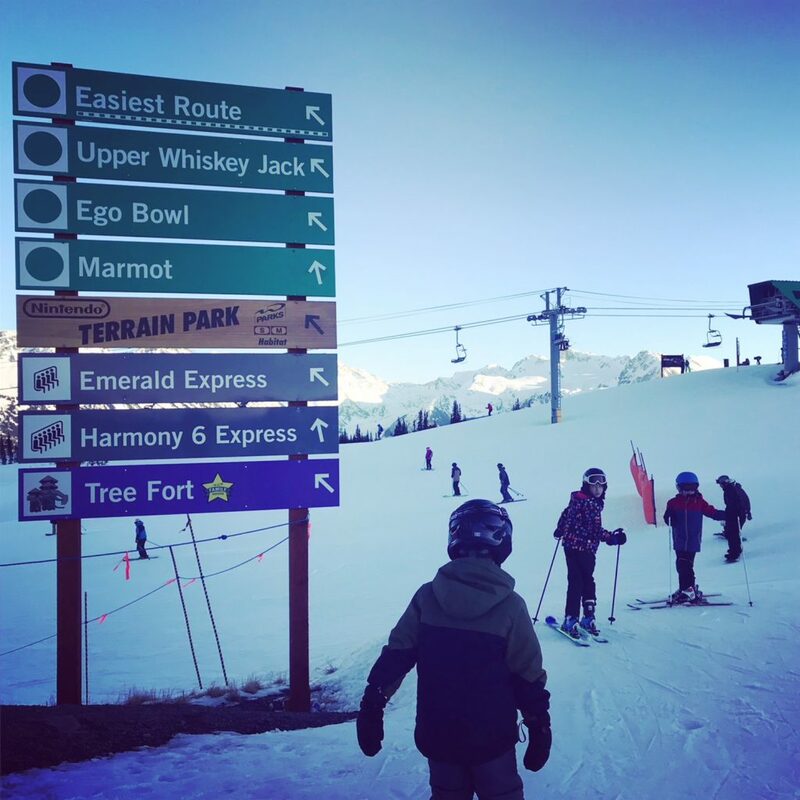 Both mountains have amazing runs and amenities. But Whistler Blackcomb is a great spot to visit even if you aren’t hitting the slopes. Here are 5 reasons why we always return to Whistler. My husband and I strongly believe that the journey is a big part of any trip. To get to Whistler we take a ferry and drive the Sea to Sky highway to Whistler. This stretch of road is like no other I’ve ever experienced, especially in the winter. There are picturesque mountains at every turn and spectacular ocean views. We’ve only ever had poor driving conditions once, otherwise, the road is well maintained and a fun way to get to Whistler. Be sure to check road conditions before driving up. 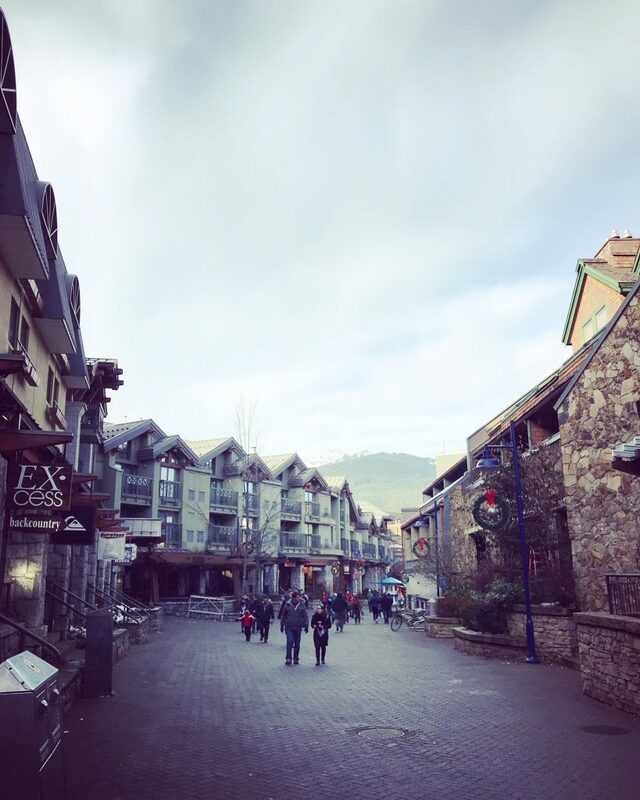 No matter where you stay in the Whistler area you will make your way to Whistler Village. 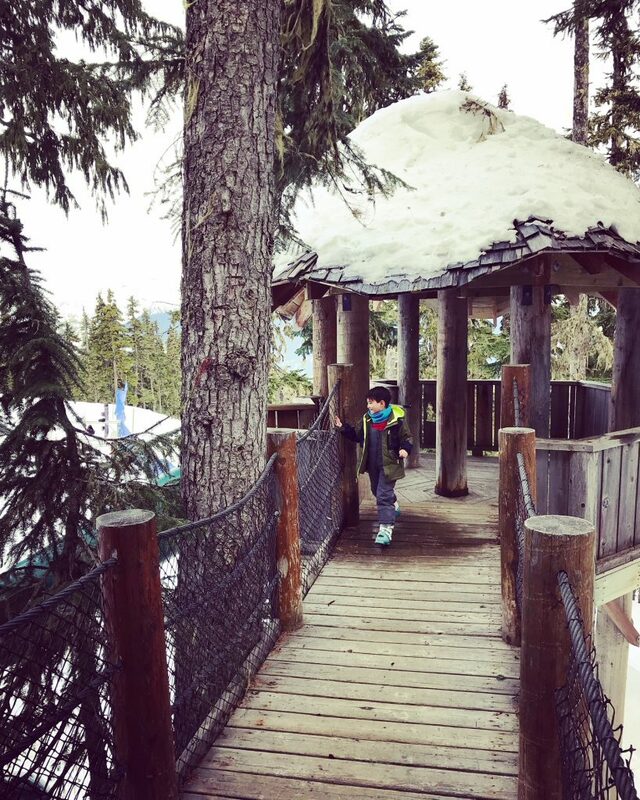 Whistler village is packed with restaurants, hotels and the coolest playground ever. My favourite part of the village is that it’s so pedestrian friendly. In the winter, an outdoor skating rink is set up at Olympic Plaza. You can also check out the Fire and Ice show on Sunday nights at skier’s plaza. 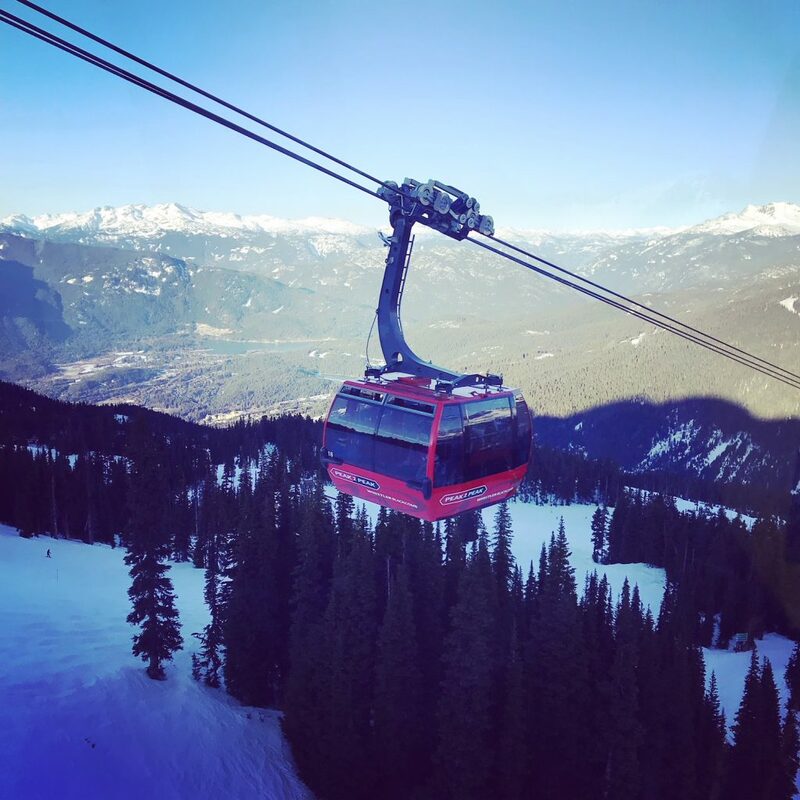 Even if you aren’t a skier or boarder you can spend time on beautiful Whistler and Blackcomb mountains by getting a ticket for the PEAK 2 PEAK. I honestly think it’s a shame if one visits Whistler and doesn’t make time to ride the PEAK 2 PEAK (it’s a fun ride in winter and summer). The PEAK 2 PEAK is the world’s longest unsupported gondola. The views on the PEAK 2 PEAK are tough to beat. The ride from one mountain to the other (without getting off) is 30 minutes. I recommend you plan your PEAK 2 PEAK visit around lunch time and eat on top of the mountain. This is a feature that I’ve never witnessed at any other mountain – playgrounds built in the mountain that you must ski or ride to. I think it’s a genius idea and a great way to give little ones a break from skiing or boarding all day. 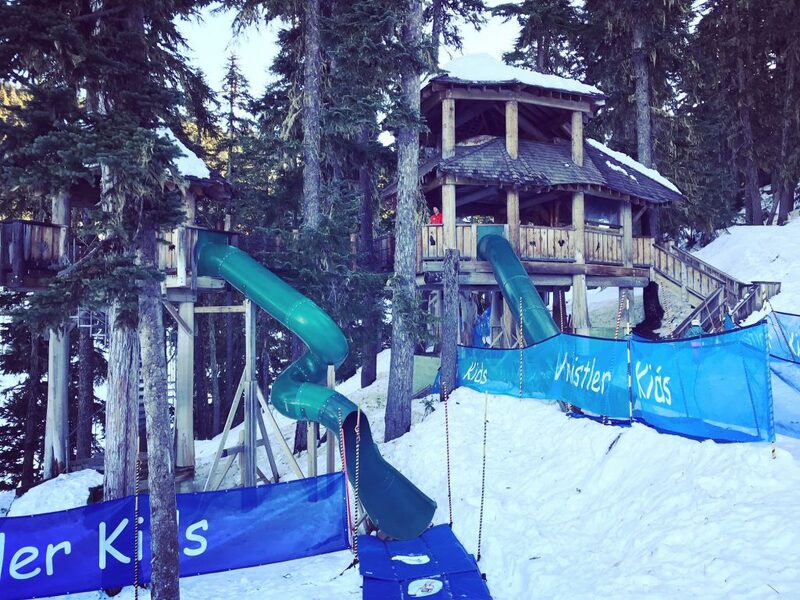 We have only ever played at The Tree Fort playground on Whistler mountain. My kids love this special hidden play zone. 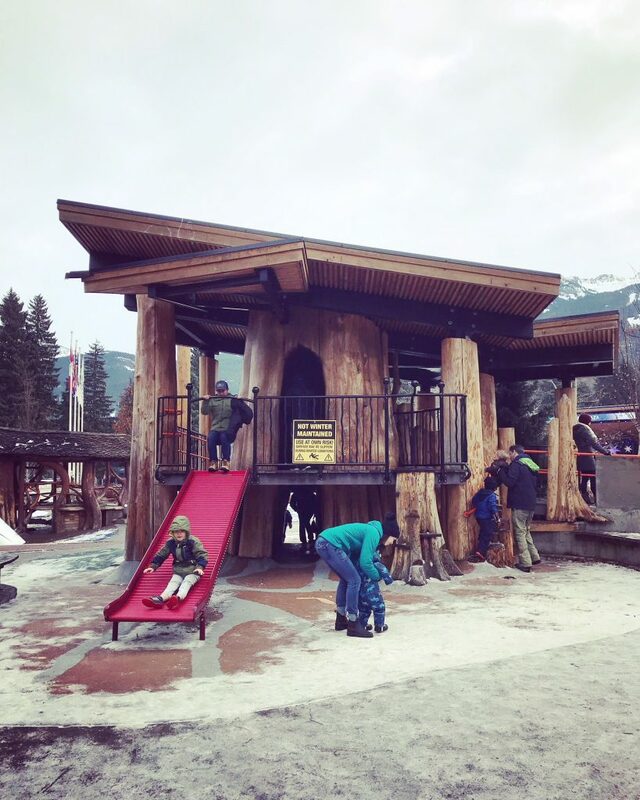 The Tree Fort is open daily and is supervised by Whistler Blackcomb personnel. To get to The Tree Fort you must ski down the Bear Cub run and then enter through a tunnel. Once on the other side, you’ll find a huge tree fort with slides and walkways. Our goal is to find the Magic Castle on Blackcomb mountain next time we are there. Whistler Blackcomb is not an award-winning resort for nothing. On these two mountains, you’ll be able to experience over 200 marked runs. Each mountain has green family zones. You can get on the mountain by way of gondola and chairlift. One ticket gets you access to both mountains. I am always impressed by how easy it is to load the gondolas and lifts. I love the pass system at Whistler Blackcomb – all you need to do is have your pass in a top left pocket and automatic gates allow you access to the lifts. This is a huge timesaver and so efficient. Runs are well marked and always well maintained. If you have questions you can easily find staff to help you out on top of both Whistler and Blackcomb mountain. If you don’t feel like looking at a paper map you can also download the free Whistler EpicMix App. The App gives you lift status, webcams, temperatures and more. 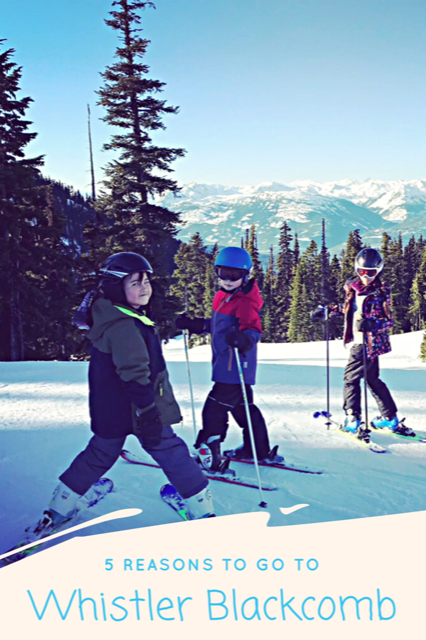 These are just a few reasons why my family keeps returning to Whistler Blackcomb every year. The value we get out of our long weekend in Whistler is priceless. Since we’ve been visiting and skiing at Whistler for many years now we are very familiar with the terrain but still appreciate all the little things that they do to run the mountain. 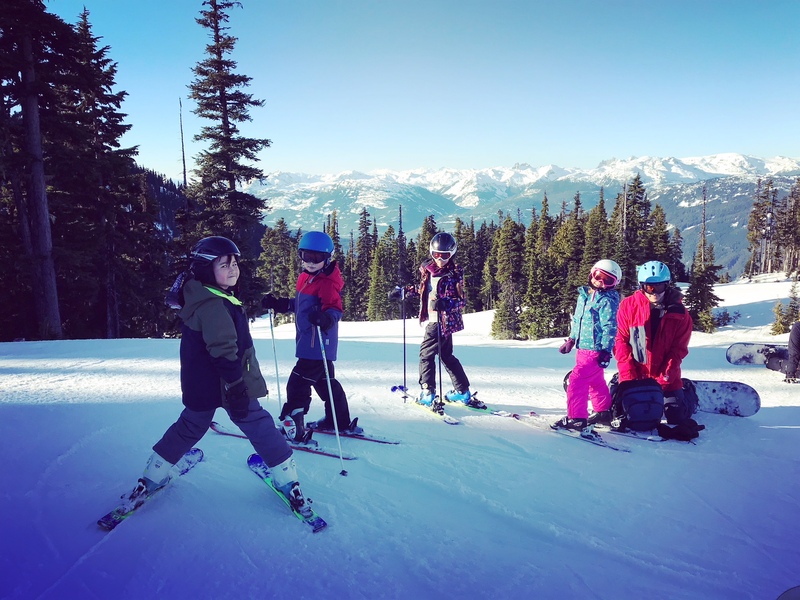 If you are considering booking a family ski holiday I would absolutely book a getaway to Whistler Blackcomb. Enter to WIN an amazing 7 day trip to Whistler Blackcomb. Enter by clicking the image below. Contest ends March 31, 2018. I’d love to know, do you go on family ski vacations? 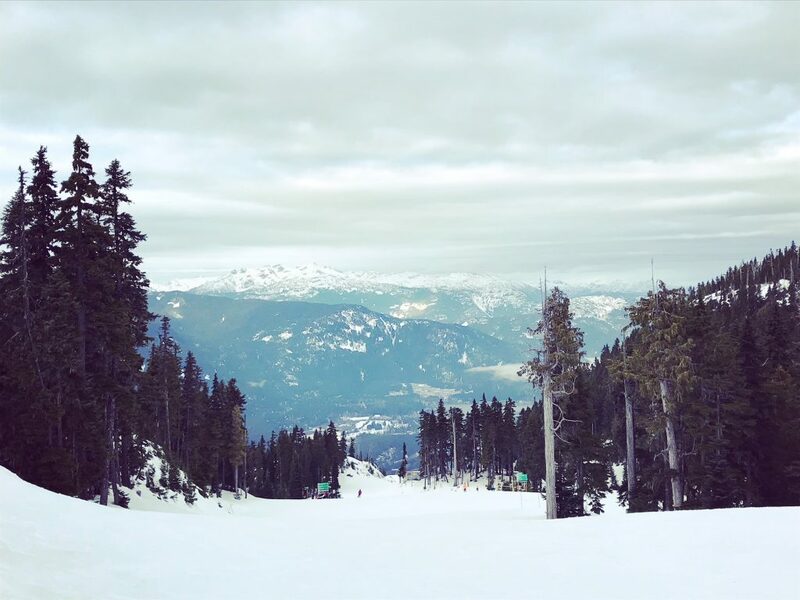 What would you like most about Whistler Blackcomb? Disclosure: This is a sponsored post from Whistler Blackcomb. All thoughts and opinions are always my own. We are not winter people – we don’t even have winter clothes, lol. But we’ve been to Whistler a couple times in the summer and we LOVE it! It’s such a beautiful place and on Sundays they have an amazing buffet up on top of the mountain. Also, the hotel rates are AWESOME off season. 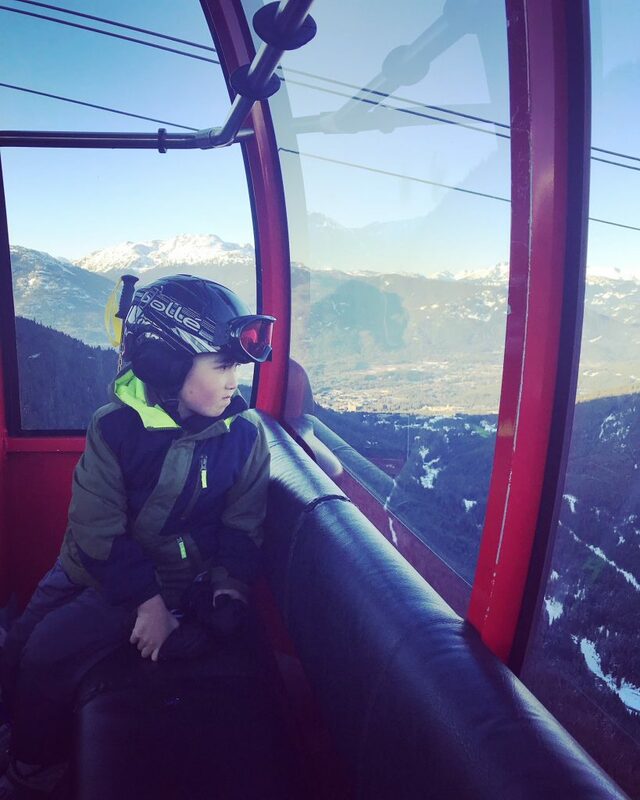 My grandson loves to ski, unfortunately he’s only been to Whistler in the summer time, he would definitely have a blast on these slopes. So much more then skying in Whistler Blackcomb. Lots of fun for the whole family! I would love to live closer to the mountains so we could take our kids skiing! I would love to take my grandchildren there ! Beautiful place to holiday . That looks so amazing. I’ve never skied so it’s all pretty wasted on me but would be such a lovely trip. WOW, just WOW! This is awesome and a great place to visit with the family. Love your images, that playground is awesome. The Whistler Blackcomb needs to be listed on my bucket list! Great giveaway! This looks like a fabulous place for families! Is it bad I want to play in the playground myself? Would love to win this, looks like a place that would be perfect for a family vacation. I entered. Fingers crossed. What an amazing giveaway! Fainting. YOU just answered all of my questions about Whistler. We only started skiing in 2015 and I have Whistler on this pedestal. So I keep saying maybe this is the year – or are we good enough to be able to ski here yet? I think that there are enough Family runs that it sounds perfect for families. LOVE the idea of playgrounds in the mountains and I have never seen that anywhere. I haven’t gone snowboarding in FOREVER, but this makes it feel like a necessity to get back there. 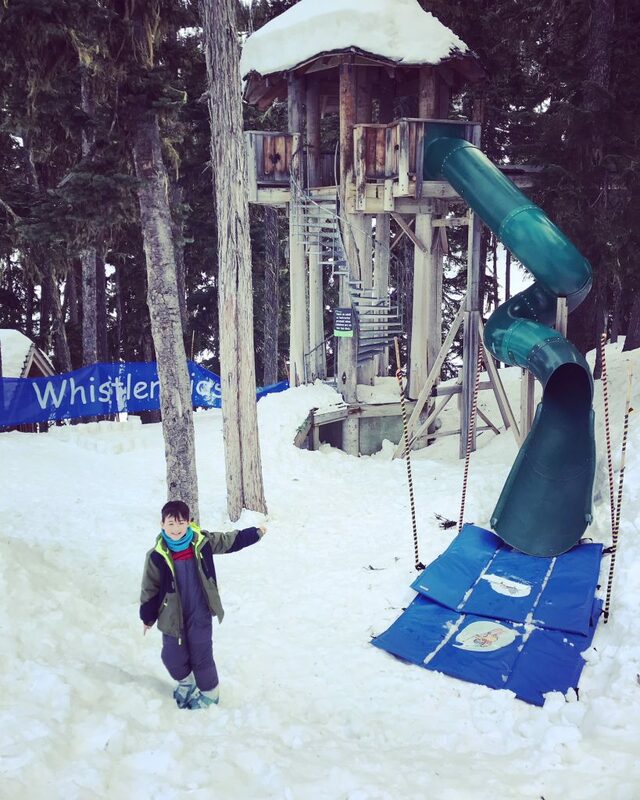 My kids would adore Whistler as it looks like yours did. Wow, looks like Whistler Blackcomb is a great place for you all to experience the great outdoors. I am so not a cold weather person but you all make it look so lovely! Holy cow! The village is so beautiful! and the peak-to-peak looks amazing, and that playground is SO COOL! !